Texture on The Runway, powered by Sally Beauty, is an ode to natural hair, culture, art, and fashion. It's an opportunity to create a space for women, men and kids with textured hair to inspire one another to rock their crowns with confidence. TOTR took place at Gotham Hall, which set the scene eloquently for greatness to take the stage. The runway was filled with beautiful curls, bold afros, intricate braids adorned with metallic ornaments and let's not forget the jaw dropping fashion. Celebrity wardrobe stylist, Wouri Vice, teamed up with Curlformers to bring Bohemian Chic to TOTR. Wouri has styled some of our favorite leading ladies such as Taraji P. Henson, Alicia Keys, Viola Davis and more. I had the opportunity to get an exclusive interview with him to find out his inspiration for the runway looks and the importance of diversity in the fashion community. Curlformers theme was "Bohemian Chic x Flower Power" so it was all about florals, bold colorful prints and patterns. Wardrobe Stylist, Wouri explains why he chose to go with Flower Power and the significance it has with curls, "Flowers bloom, they start small and they get big just like curls. There is so much power in the curl, there's so much power and strength for a woman to wear her hair in a curly texture in this climate because it's an immediate judgment, but I think that's the beauty of it because there's so much variety in how curls are worn. So I transformed that into flowers and what I see as we're moving into the Spring season." 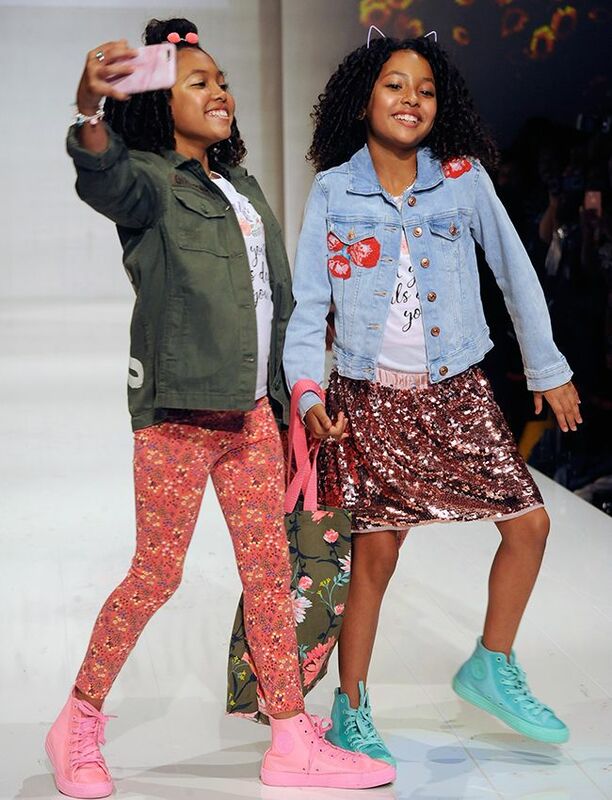 Doube the cuteness, double the fun, Anais & Mirabelle Lee owned the runway in the most adorable outfits. Peep the Chuck Taylors. Marissa Hill glided down the runway in the most beautiful floral prints I've seen. This kaftan is everything!! Carol Rojas rocked the runway mixing lace & leather, so timeless! 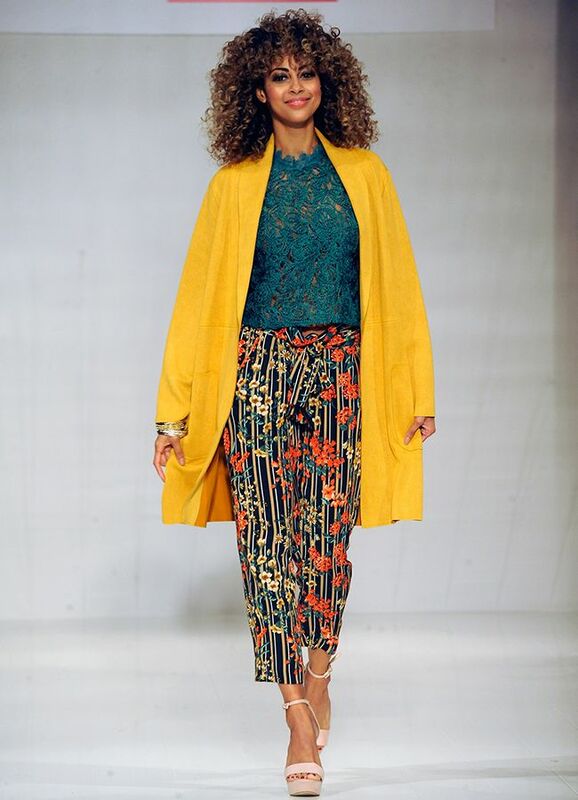 Britney Watkins graced the runway reminding us that work wear can be fun too! I think I need this yellow sweater in my wardrobe, what a statement!? The bottom line is we're magical and everyone wants a piece of the magic." Wouri said, "Platforms like this are creating the moment for diversity. I think that there's space for diversity to grow in the community, but the fashion community doesn't want to admit that they've been wrong. 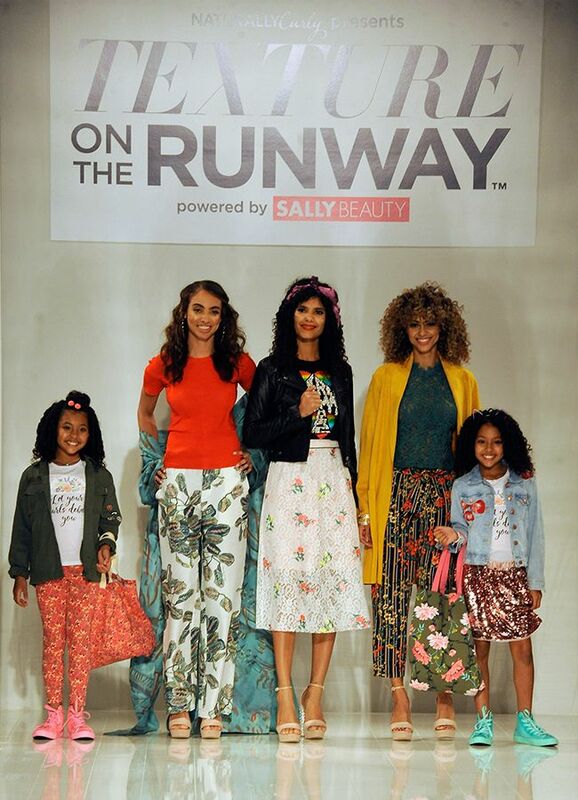 When it comes to hair, I don't see a lot of curls on the runway so this is a very important show to be a part of and I was excited that Curlformers invited me to join their team." Thank you for sharing your expertise, Wouri Vice. It was a pleasure chatting with you! You can find the Curlformers used for all of these styles at Sally Beauty.